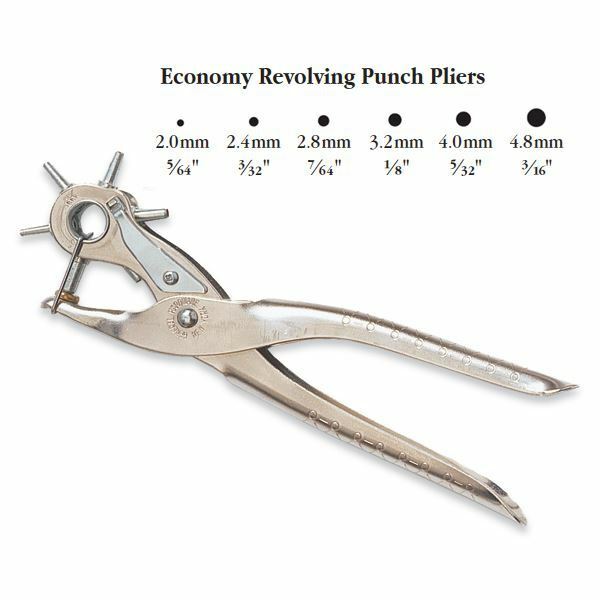 Economy Revolving Punch Pliers feature self-opening, nickel-plated handles. 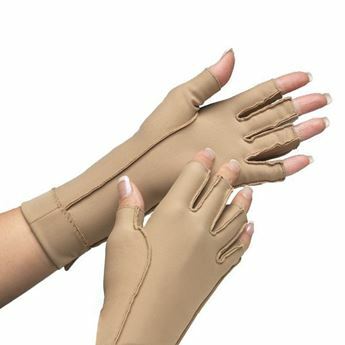 Ideal for cutting holes in leather, fabrics and cold thermoplastics. Holes can be punched up to 7.9cm from the edge of the material. 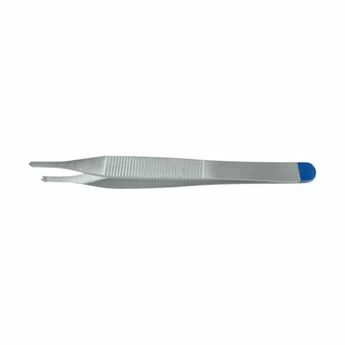 Punches six hole sizes ranging from 2mm to 4.8mm in diameter. Simply turn the wheel to change the size of the hole punch. Heavy Duty Revolving Punch Pliers are made of forged steel. 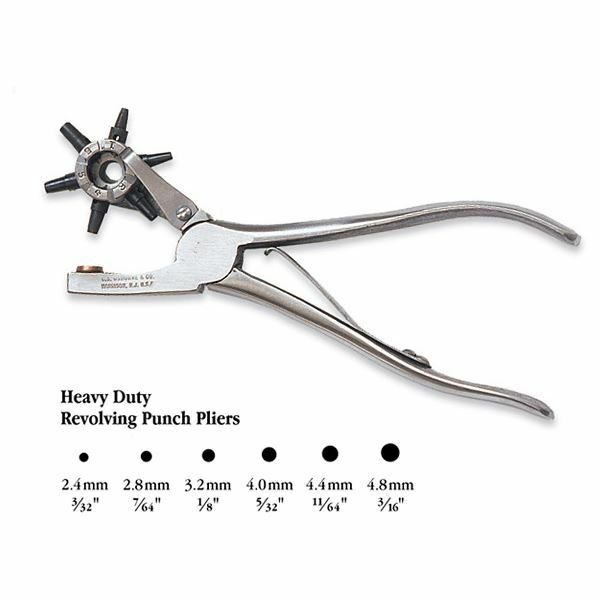 Use to punch holes for rivets and perforations. Carbon steel cutting tubes are threaded for easy replacement. Six tubes punch holes from 2.4mm to 4.4mm in diameter. Holes can be punched up to 3.8cm from the edge of the material.